Lechlade on Thames is a small attractive riverside town on the edge of the Cotswolds. The town is known for its fishing and boating and boasts a variety of shops, leisure acivities and other amenities, the town welcomes visitors, new residents, and businesses. It combines the advantages of delightful countryside and convenience for Oxford, Bath, Cheltenham, Swindon and Cirencester. 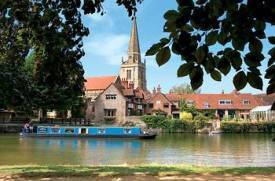 Lechlade (once Letchlade, which explains its pronunciation), is situated beside the Thames about 11miles east of Cirencester, 12 miles north of Swindon and about 20 miles west of Oxford. 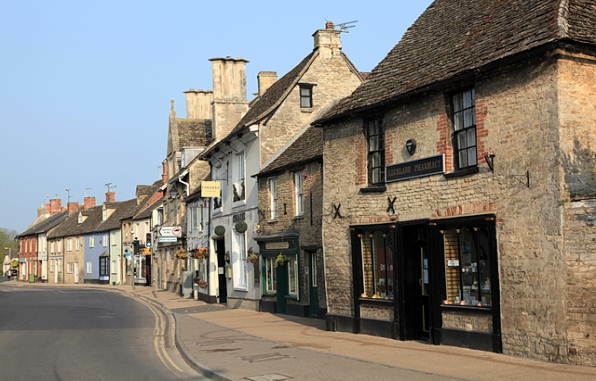 A borough and market town from the early 13th Century, it later played a part in the Cotswold wool trade. 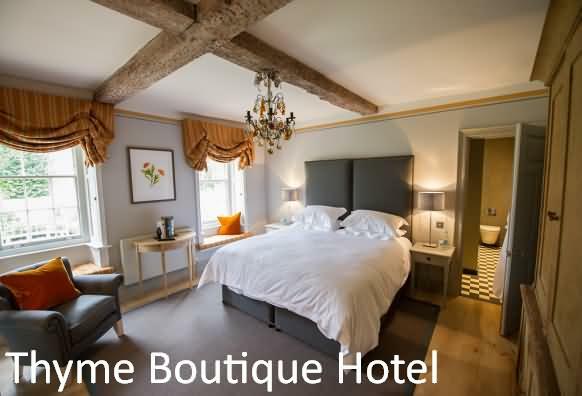 Thyme is located on a country estate in the Cotswolds, 26.1 miles from Oxford and 2.8 miles from Lechlade. Guests can enjoy breakfasts and suppers in the Tithe Barn. Lunches and dinners in served the property's restaurant, The Swan. Refreshments are available in the guest drawing rooms and the cocktail bar, The Baa. Free private parking and free WiFi are available at the property. Rooms at Thyme are housed in separate historic buildings in the Farmhouse, the Lodge and the Courtyard. Each room comes with a coffee machine, biscuits and a nightcap. A private bathroom with toiletries and a bath or shower is also provided. Guests have access to the hotel's drawing rooms, and are invited to wander around the landscaped gardens. Tours of the kitchen garden and farm are also available. The Cookery School at Thyme offers private classes as well as a general programme. Dining events are held in the Tithe Barn throughout the year. Now partnering with probiotic skincare experts Aurelia, Thyme offers facials, body rituals and massages in the Farmhouse Treatment Room. Spa opening soon. Clay pigeon shooting, cycle hire and walking maps are available at the hotel. Cheltenham is 26.1 miles from Thyme, while Stow-on-the-Wold is 17.4 miles away. Bristol Airport is 65.2 miles from the property, and Charlbury railway station is 16.2 miles away. 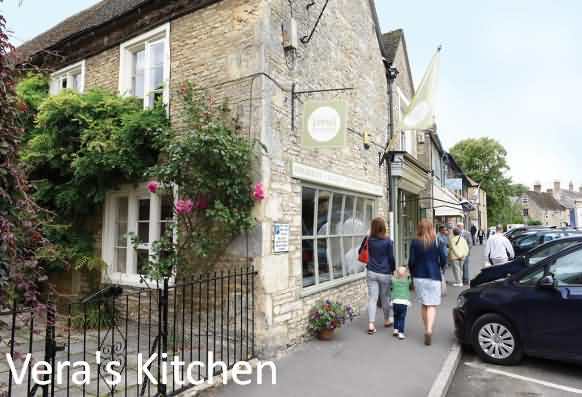 Vera's Kitchen B&B in Lechlade features accommodation with a garden and a terrace. This bed and breakfast offers free WiFi. The in-house restaurant serves British cuisine. At the bed and breakfast all rooms are equipped with a wardrobe, a TV and a private bathroom. The rooms come with a kettle, while some have a patio. Oxford is 19.3 miles from Vera's B&B, while Cheltenham is 21.7 miles from the property. The nearest airport is Bristol Airport, 48.5 miles from the accommodation. 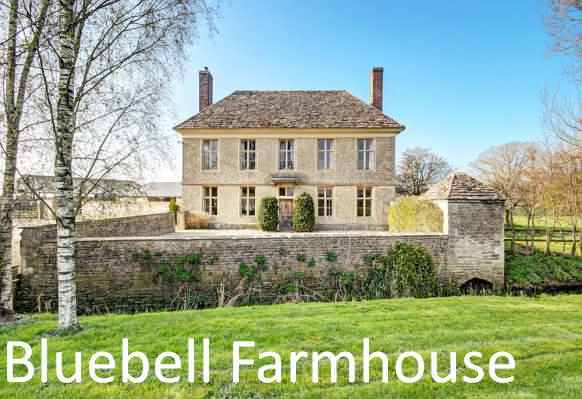 This property also has one of the best-rated locations in Lechlade! Guests are happier about it compared to other properties in the area. This property is also rated for the best value in Lechlade! Guests are getting more for their money when compared to other properties in this town. Bluebell Farmhouse has a fantastic location in a private area within the picture postcard setting of Hannington Wick, close to the village of Kempsford, where a handy pub and restaurant can be found. 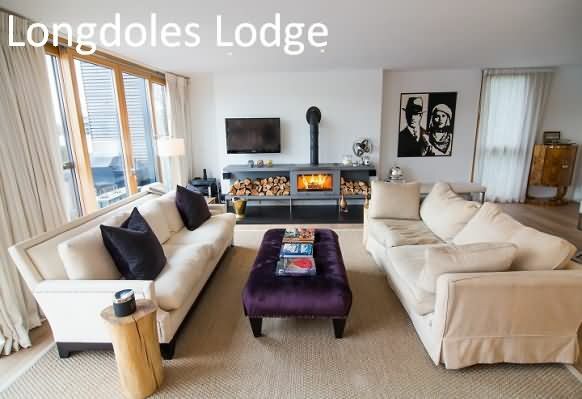 The property is located in the middle of the Gloucestershire, Oxfordshire and Wiltshire borders and makes the perfect base for families who would like to further explore the famous Cotswold region. The Eighteenth century, Grade Two listed farmhouse provides spacious and modern accommodation with a homely feel perfect for large families or groups of friends looking for a rural escape. The property comfortably sleeps up to sixteen guests across seven bedrooms, however the capacity can be increased by adding an additional single bed into one of the family bedrooms. On the ground floor, is the living accommodation with a fully-equipped modern kitchen, dining and drawing rooms as well as one of the family bathrooms. Upstairs, on the first floor, is a family bedroom with additional single bed, three double bedrooms, a single room as well as two of the family bathrooms. On the second floor, are a further two family bedrooms, both of which can hold additional single beds if needed as well as the final family bathroom. 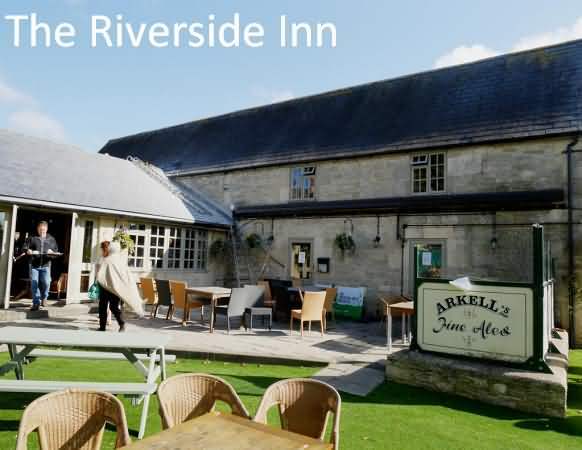 The Riverside is an inn offering accommodation in Lechlade. This 3-star inn offers a bar. The restaurant serves British cuisine. All rooms in the inn are equipped with a flat-screen TV. The private bathroom is fitted with a bath or shower. Guests at The Riverside can enjoy a continental breakfast. Oxford is 19.3 miles from the accommodation, while Cheltenham is 21.7 miles from the property. The nearest airport is Bristol Airport, 48.5 miles from The Riverside.